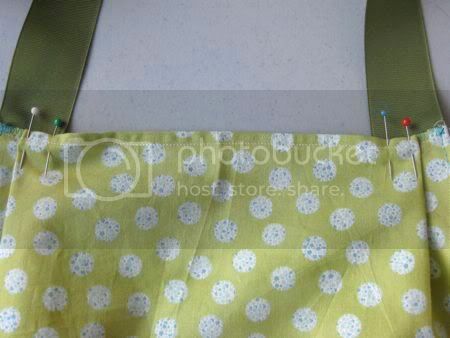 Love cute little aprons? Me, too!! 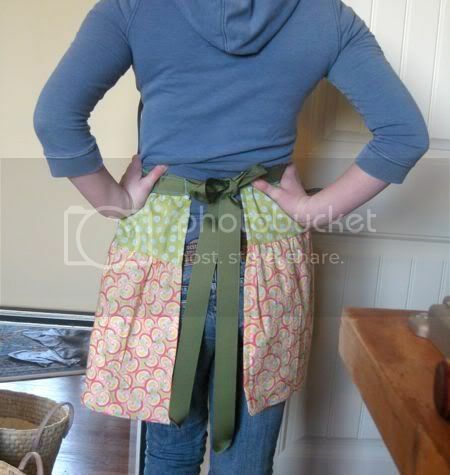 This is part two of my Super Cute & Easy Apron Tutorial. 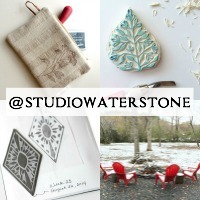 For Part one, click here. Then hop back over to see the big finish. Okay, we've got the bottom of the apron. Now if you're super messy like me or if you're simply a full on apron lover, then follow along to add the top half. 2) Next, turn under any unfinished edged 1/4", then 1/4" again to finish the side seams. 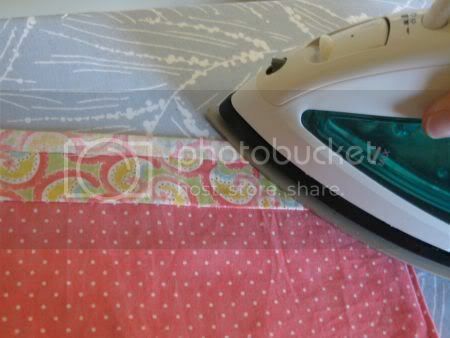 3) Along the bottom edge, turn about 1/4" to the right side and press. 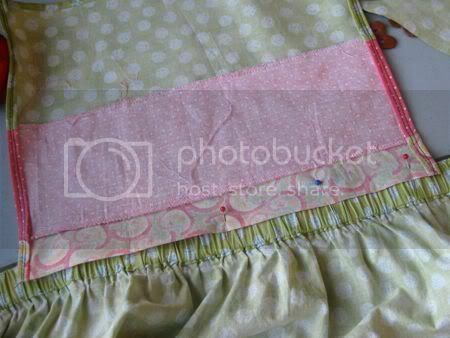 4) With right sides facing down, find your centers and pin the top to the bottom at the waistband. See, you are hiding the turned up, unfinished seam. 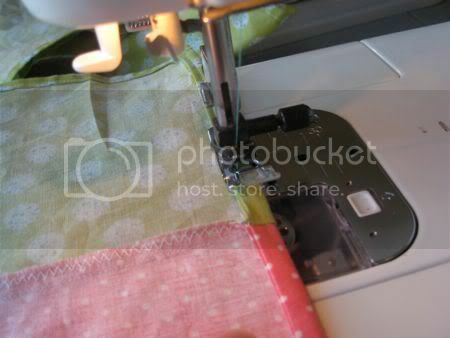 5) Stitch the top to the bottom. I stitched two seams, one right where the top & bottom meet and then again at the bottom of the upper flap (which you ironed) to secure the unfinished edge. 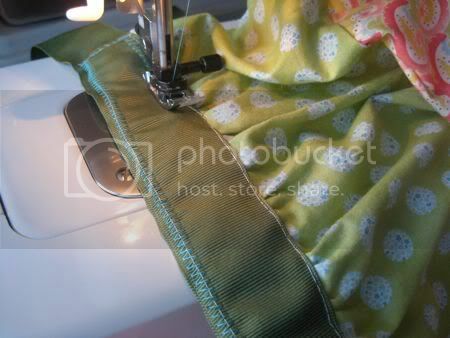 6) Using the same ribbon you used for the waistband, cut another piece about 24" to loop around your neck. Pin it to the top edge and stitch into place. 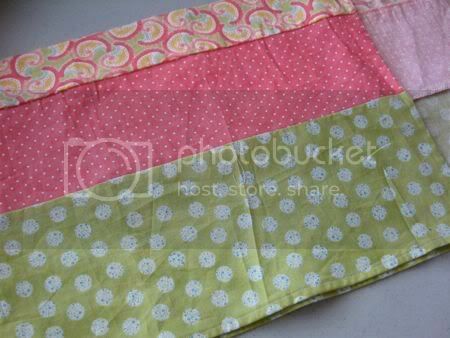 For a better fit, I created a pleat over each ribbon and stitched across. ...it was complete! What do you think? Super easy and super cute. Admittedly, I am a self taught seamstress, so my terminology may not be top notch. If you have any questions, please feel free to fire away and I'll answer as best as I can. 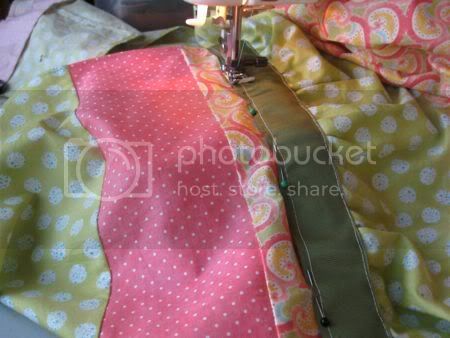 Great tutorial, I wish I could sew! Very cut! 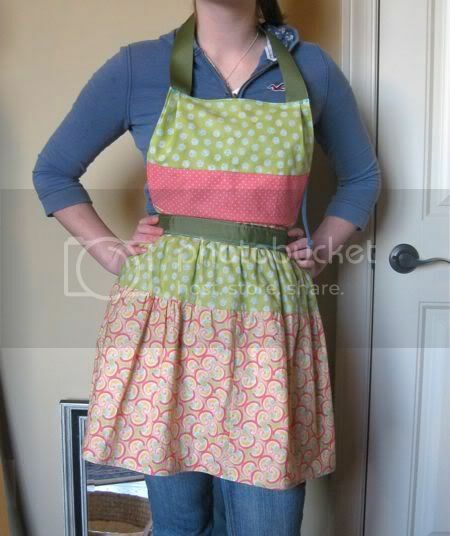 I love aprons, they are sew creative! I just bought Apronology from Sommerset. Love it! Very, very cute! Nice job! Being an 'Apronologist' myself (featured in premier issue-Apronology) I applaud your fabulous creativity and style!! Well done Woman...;-) Thanks for a great tute! Hm, now I want to go out and buy a sewing machine. You make it look so easy! I love aprons, and I too need a full-on apron. Top is where all the splashing seems to happen! I've actually got some skirts that would work perfectly.